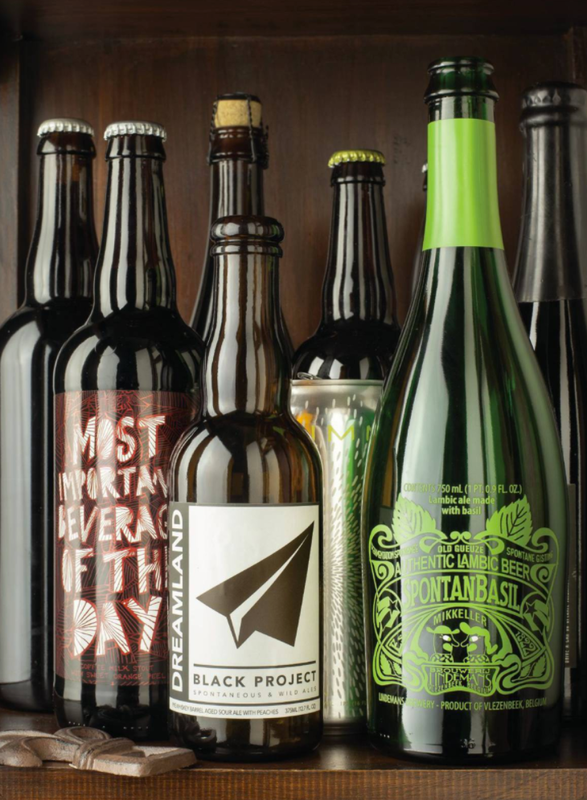 IN THE LAST FEW YEARS, WE’VE WITNESSED AN EXPLOSION of new beer styles. Where sours were once obscure, today American wild ales and their fruited variants are the darlings of craft beer. Where session IPAs initially had us scratching our heads (How are they different from pale ales? Are they supposed to be less alcoholic or less bitter than IPAs, or both? ), they’ve now distinguished themselves as one of the most popular beer styles on shelves. But 2016 was different: Unlike in years during which we celebrated wholly new styles, this time around we relished in a deepening and broadening of the types of beer we’ve celebrated in the past. We found a 14%-ABV barrel-aged blend from Deschutes and Hair of the Dog that was gorgeously layered but surprisingly easy to drink, and a balanced Czech Pilsner from Live Oak Brewing that was wonderfully complex. We saw IPAs that took on new forms—but were still IPAs at heart—with cloudy, juicy and fruited versions landing among our favorites. And while brewers are still playing with fun, unusual and exciting ingredients in beer, this year we enjoyed the thoughtful flavor construction of their food-infused brews. This was the year that the thrill of finding something novel was replaced by the delight of experiencing something expertly crafted. These 25 beers, all new or newly packaged in the last 12 months, are a testament to where beer is today—and, we can only hope, where beer will continue to go. Tart, fruited wild ales continued their meteoric rise this year, but few boasted such graceful and balanced barrel character as this one-off variation on Black Project’sDreamland sour. Peaches (84 pounds’ worth)lend their juicy ripeness while a wet A.D.Laws Secale Rye Whiskey barrel contributes custardy vanilla and a warm coconut flavor.Soft acidity deftly slices through, tempering pastry-crust malt richness reminiscent of spiced peach pie a la mode.